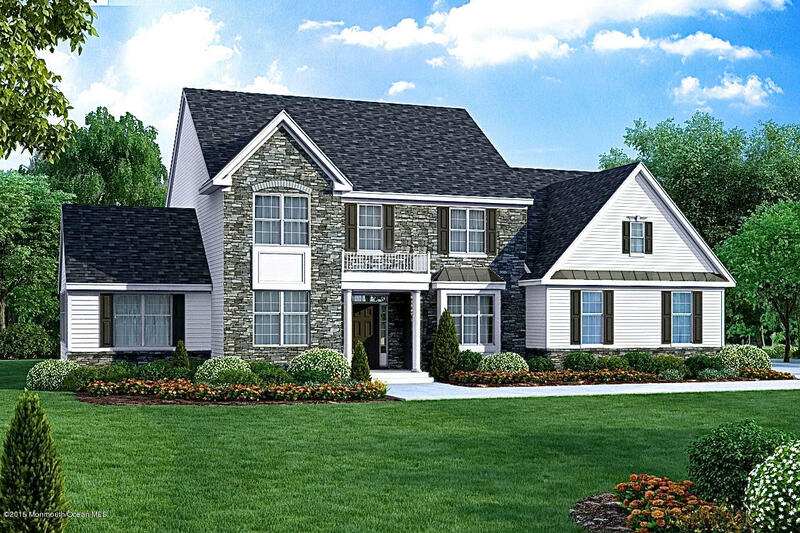 Estates at Robbinsville'' is a NEW community of 19 Homes to be built around Private Cul-de-Sac in Prestigious section of Robbinsville. Devon Model offers great floor plan with access to the second story hidden from view at the entry. Devon features an incredible entertaining area focused around the kitchen/breakfast/family room combination. A private study for quiet time & a butler's pantry opening to a formal dining room demonstrates the flexibility of this home design. Buyer has an option to change study into 5th bedroom suite or add conservatory, nook or in-law suite. All homes include Large Full Basements & Side Entry Garages. Lots ranging from .54 acres to apx. 1 acre. Close to the NJ Turnpike, Interstate 195 and Routes 33 and 130. Lot Premium not included in List Price.